Home / Posts taggedheat transfer"
What’s the Difference Between Heat Transfer Printing vs Screen Printing? If you are in digital printing areas, you’re probably wondering what the difference is between all these very similar printing options – like heat transfer printing vs screen printing. In this article, we’ll help you decide which printing process is best for you by breaking down the differences between these two common printing types. When a design is produced using the screen printing method, actual screens are used in the process! Essentially, this screen is cut to make a stencil for the design. Ink is then spread over the screen, passing through to the object underneath only in the areas you want it to be. Only one color per screen can be used – so depending on the number of colors in the design, you’ll need multiple screens to produce the final item. The heat transfer printing method applies custom designs to items like t-shirts or tablecloths through a process that uses a combination of heat and pressure. Common kinds of heat transfer printing include vinyl heat transfer and digital print heat transfer. With the vinyl heat transfer process, a machine is used to cut out designs and letters in pieces of colored vinyl. A heat press is then used to transfer each vinyl color of the design onto the object being printed. With digital print heat transfer, the desired graphic is first digitally printed on special heat transfer paper using a solvent ink. This type of ink allows the design to be transferred from the paper to the item being printed when pressed with heat. 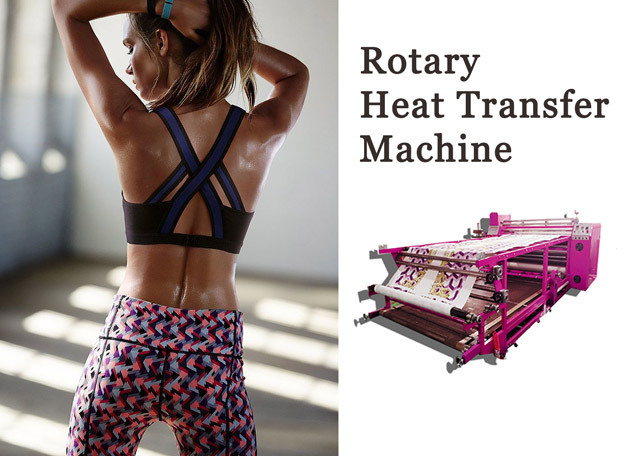 With both these types of heat transfer, a heat press machine will be needed to transfer the graphic, either vinyl or digitally printed, from one surface to another. It’s the magical combination of heat and pressure that transfers the design! 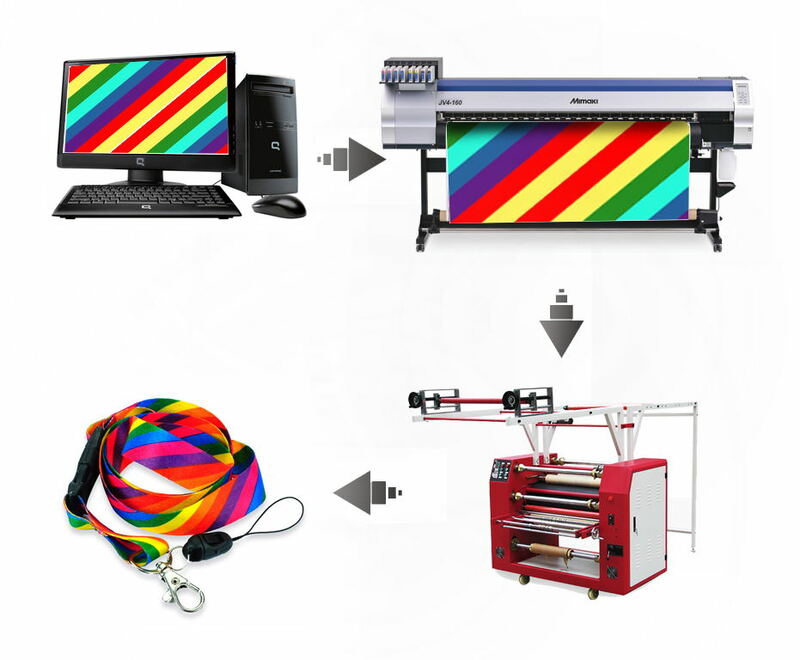 We FeiYue Digital Technology Co., Ltd mainly manages sublimation paper, inkjet printer, digital printing inks, calender machines and accessories, operating this industry has been more than 10 years experience. After continuous improvement of the product, to ensure product quality can also be profit at the same time to the minimum, to ensure that customers enjoy the best price and the best quality products. ​Here’re the important things you need to keep in mind when purchasing the best affordable t-shirt printing machine for your t-shirt printing needs. 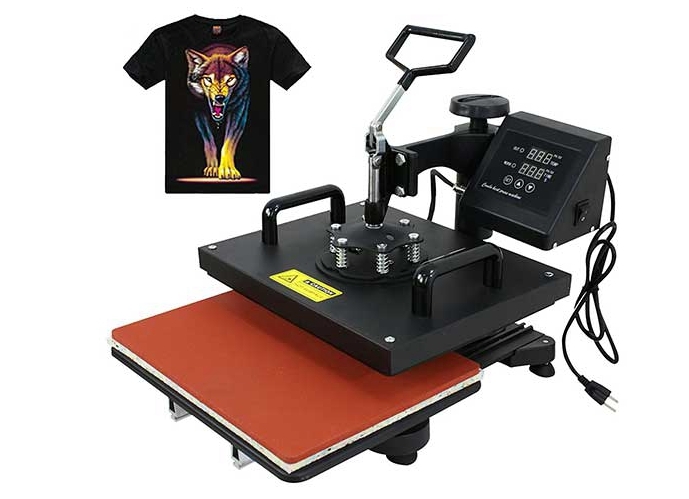 The first thing you want to do when buying your heat press machine for t-shirts is the quality. As much as you want to invest your money in a durable, long-term machine, you’ll need to make sure it comes with the ultimate quality. The easiest way to detect a durable machine when comparing different models is looking at the weight. Of course, a durable, high-quality machine will be heavier given the materials used to construct it. Your machine needs to withstand consistent clamping and movements involved. And if you invest in a bad quality, light machine, it will not be able to handle that. This is especially useful for beginners who are planning to buy their first ever machine. My simple advice is: spend according to your limits while making sure the machine you buy will meet your basic printing needs. Almost all the modern cheap heat press machines are integrated with digital time and temperature controls. These help you set the correct time and temperature values depending on the materials you’re working on. If you don’t wish to risk burning your customer’s t-shirts or tote bags due to overexposure, you’ll need to consider this feature. While still on temperature and time aspects of a heat transfer machine, you should take a chance to learn their range. ​For a standard heat press, about 350 degrees Fahrenheit temperature and approx. 10 seconds is adequate to meet your t-shirt printing needs. The range will vary if you’re working on thicker garments- like hoodies or sweatshirts. 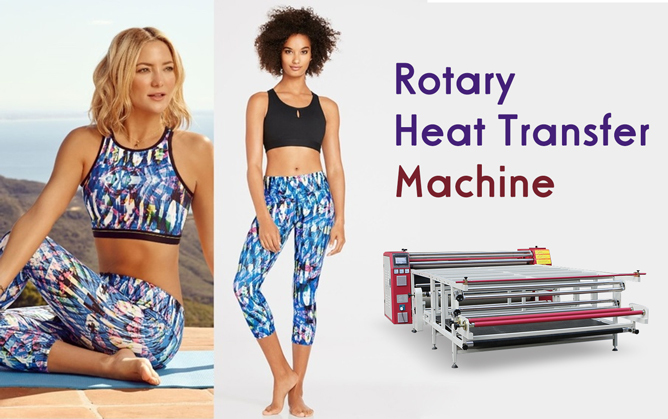 The choice of the heat transfer you buy should primarily be fueled by the space available as well as the size of the garments you’re working on. I’d suggest that you consider the bigger models- measuring 16 x 20 inch as they offer you a larger working space. Models smaller than this are great if you’re on a budget- though they might not offer you a comfortable working space when printing on larger garments such as XL tees and hoodies. If you’re working on kids t-shirts, models as small as 9 x 12 inch will serve you well. If you’ve limited space at your office or home, consider investing in compact models that are space-efficient. In addition, there are many other things need to consider. We will share with you next time. 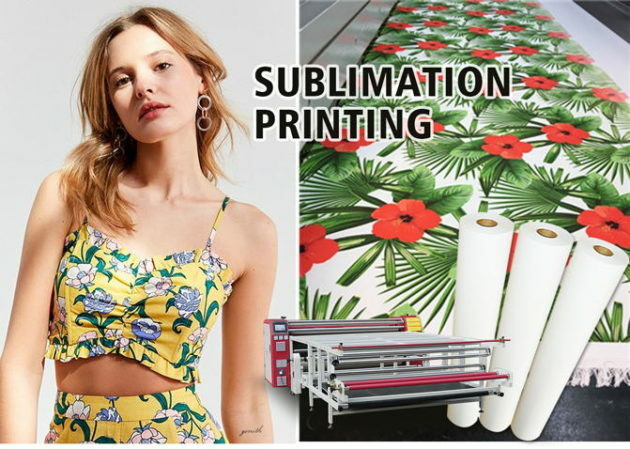 We Fei Yue Digital Technology Co., Ltd mainly manages sublimation paper, inkjet printer, digital printing inks, calendering machines and accessories. If you are interested in our products, welcome to contact us at any time. We will provide you the best quality product and service. Thanks for your reading. How to Choose Suitable Ribbon Heat Transfer Machine? Many friends have encountered difficulties in choosing a ribbon heat transfer machine. Now, I will briefly introduce the appearance of various types of ribbon heat transfer machines and their advantages to help you choose more accurately. 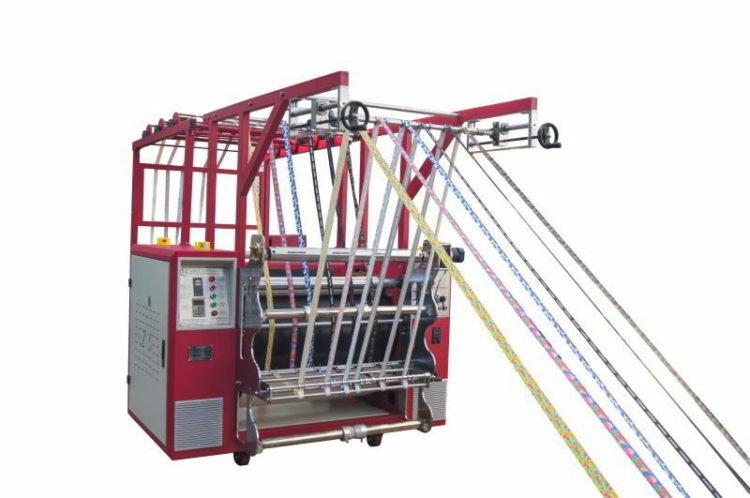 According to the appearance, we can divide the ribbon heat transfer machine into two types: Upward and Downward type. Downward type heat transfer machine is the most popular for lanyards ribbon currently. There is a stand frame to make lanyards kept smooth and tight, which can increase your working efficiency and decrease the defective. 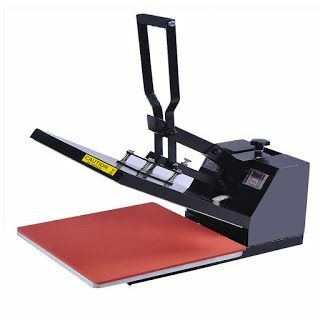 It’s a multi-functional printing machine that can be applied for ribbon printing, cutting and cloth rolling. 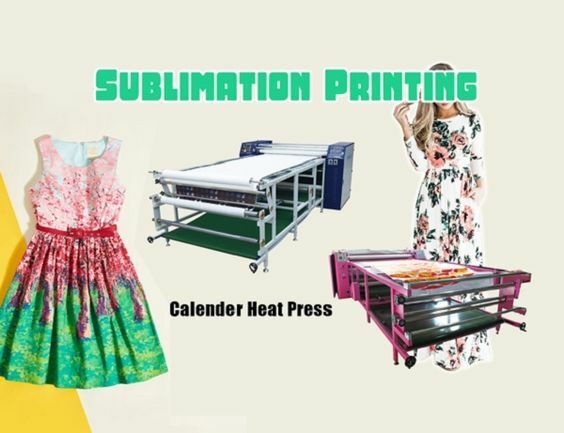 Moreover,it is a new generation of roller sublimation heat transfer machine researched and developed by our senior with tri-location, accurate positioning,and prints with a couple of ribbons simultaneously in whole roll, thus to get a clear printing result. 1.Adopt the most advanced control system, imported components and auto spacing, which leads to the excellent performance(accurate and sale)and long lasting life.High precision(0.5℃),all digital display of time, and high accuracy. 2.Oil thermal conducting structure make the uniform color of the transfer printing. 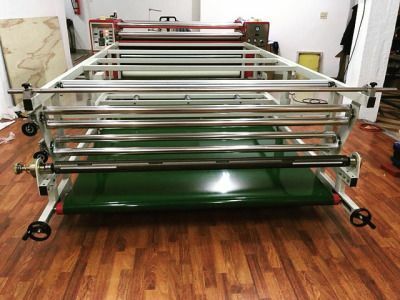 Equipped with the simultaneous down-roller, which makes minimal mold positioning error.It can transfer printed a couple of ribbons simultaneously. 3.Both single and mass production are available.The large diameter bearing makes the maintenance of the fragile parts of the heating system. The drive shaft is made of Japanese”Shin Etsu”material；Blanket made from Du Pont material imported from USA and large capacity conducting oil, which makes consistent temperature，without any color even in continuous transfer printing. 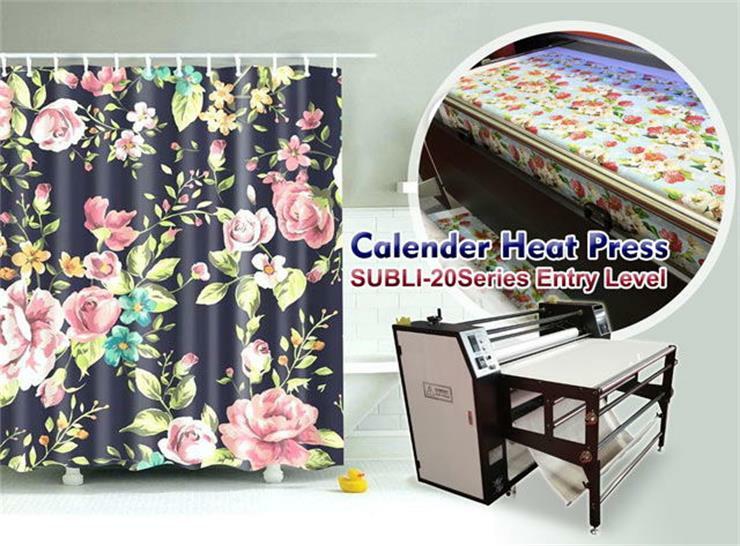 The other one is upward type, this heat transfer machine is the traditional calender for lanyards ribbon, there is a big table to make the lanyards go into the oil drum. 1. Blanket is made by DuPont materials from USA, which produced by Shanghai joint venture, 10mm thickness, excellent transfer effect and long life. 1. Blanket is made by DuPont materials from USA, which produced by Shanghai joint venture, 10mm thickness, excellent transfer effect and long life. 2. Adopt 100% 12mm Seamless steel pipe roller drum, double roller layers, roller drum inside and outside polishing, and plating Teflon, which ensure uniform temperature, no Oil spill, no color difference. 3. Using imported Taiwan stainless steel heating tube to heat oil directly, nearly 45mins can up to 220 degree. 4. Electric box is made by 100mm thickness stainless steel board, CNC line cutting, high accurancy. 5. Deviation shaft grinding by precision grinding machine, polishing, then platinising, controlling temperature difference less than 2 degrees, and make blanket don’t delivate. 6. Control panel: Premium digital display, including temperature and time control, higher precision. 7. Using frequency conversion governor which can adjust heating transfer speed according to different materials. 9. Pneumatic pressing function: Adjust pressure between blanket and roller drum, vivid color effect. 10. Blanket band separated: Adopt simultaneous shaft adjustment and pressure balance shaft separate blanket from roller drum when machine turn off or power off, protect blanket and extend its life. 11. Pressure adjustment function for used transfer paper: deliver the paper without deviation. 12: Air shaft collect used transfer paper and protective paper, rolling tightly. 13. Tension control system: After single-side transfer, the device prints on the other side to achieve simultaneous printing on both sides. 15. Equipped with Soild state temperature control system, samrt protection system, high temperature warning system, ensure working safely. 16. Equipped with 3.5m working table, normal double rolls, suitable for piece, roll fabric and garments. Okay, these all above are my share about how to choose ribbon heat transfer machine. Now, I believe that you must know how to choose a suitable one for your business. Hope my article can be useful to you. If you have any other needs or questions welcome to contact us at any time. We will provide you the best quality product and service. Thanks for your reading. Heat transfer stands out as a modern, effortless, and flexible method of printing your artwork onto t-shirts. 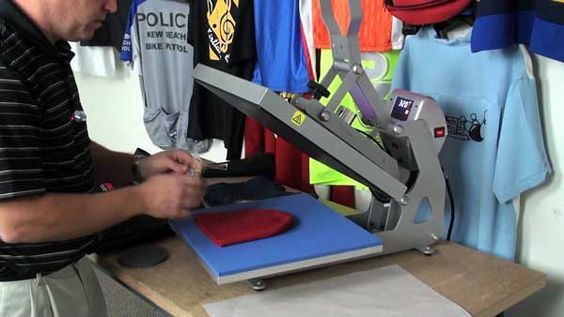 If you want to know how to heat press a t-shirt then you can read our guideline. Designing clothes have evolved and it has become a great alternative to the classic screen printing. Heat transfer gives your shirt or any garment a neat and nice look. You can be sure of getting that awesome design printed on your shirt exactly the way it looks on the screen. The concept of heat transfer is very simple; all you need is a heat press machine, an inkjet printer with regular printer inks or T-shirt inks. The paper used for heat presses in T-shirt printing is called carrier paper. This carrier paper has a film on it. The unprinted part of this sheet has to be trimmed using a vinyl cutting machine before printing, and the transfer paper is then placed on the shirt and heated in a heat press with medium to high pressure. Turn the thermostat knob to the right until you can see the red heating light. Turn the knob back to the left until the heating light turns off when the thermometer indicates the desired temperature for your transfer, The red heating light will turn on and off at intervals to regulate your desired temperature. Set the heating time by pressing your digital timer if your machine has one. Press stop to reset when you hear the alarm. Lay the transfer onto the spot you want the design to appear on the paper. Close the machine against your fabric and the transfer and lock it firmly. Set the timer based on the instructions you see on your transfer paper. Lift the handle to open the machine. Peel the transfer paper off the face of your shirt. You should read the instructions to know whether it is a “hot peel” or “cold peel” paper. Wait for at least 24 hours before washing. Today’s article is shared here. 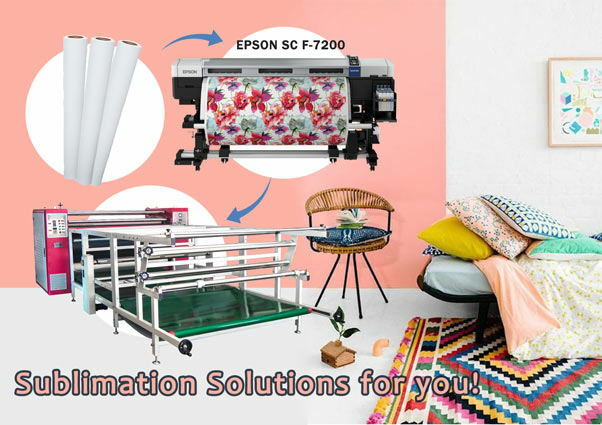 We Fei Yue Digital Technology Co., Ltd mainly manages sublimation paper, inkjet printer, digital printing inks, calendering machines and accessories. If you are interested in our products, welcome to contact us at any time. We will provide you the best quality product and service. Thanks for your reading. 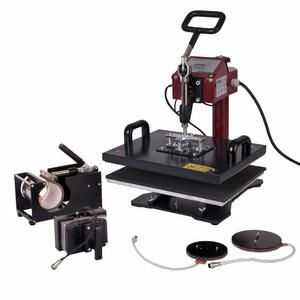 How to Make Your Heat Press Get the Best Results? 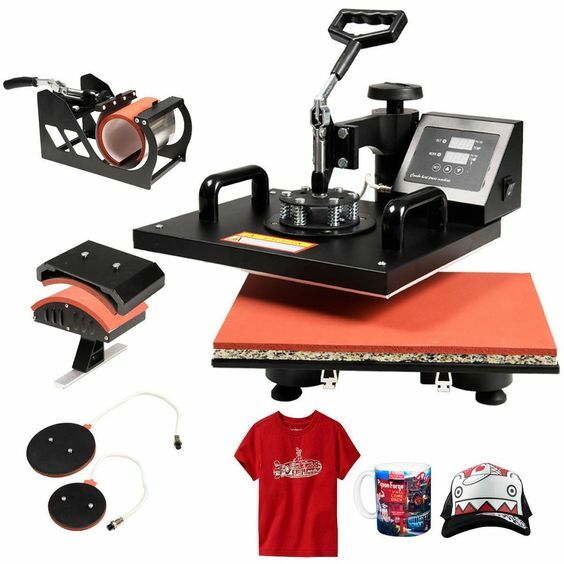 In the heat press business of printing, the need to constantly create designs that are innovative and high quality mostly depends on the kind of heat press machines that you select to get the job done. Ideally, mugs can be pressed with a combo multi attachment mug heat press that has a separate attachment for the specific mug shape you using including standard 11 and 15 oz mugs, water bottles, steins, latte mugs and/or pint glasses. Other than that, you could go with one that is specifically designed for standard mugs. Use sublimation glass, ceramic or metal mugs for the best results. Using specialized software, design the graphic that you want printed. Make sure you reverse the digital image using the image editing software. Using the sublimation paper, you will need to imprint the graphical image on the mug. Make sure the colors are right. Send the image to be printed on your sublimation printer, then trim the extra sublimation paper to form the shape of your graphical design. Apply the right pressure on the mug, so that it sits securely. Next, set your heat press to the proper temperature. Throughout this time, make sure you take safety measures and wear protective gloves while dealing with the heat press equipment. Place the design face-down on the mug, and make certain it stays securely over it with heat resistant tape. When the heat press is ready, place pressure on the mug to imprint the image. Once the printing is accomplished, peel off the sublimation transfer paper off the mug. You could also immediately submerge it in lukewarm water for it to cool off. Imágenes generales finas, siempre que la máquina de dibujo en caliente común pueda completarse, por qué la imagen es exquisita, por ejemplo, cuando nuestros diseñadores quieren fabricar sus propios productos por encima de los diversos patrones y utilizan las herramientas de diseño para nuestras plantas de procesamiento de transferencia térmica. básicamente pueden ser procesados. La aplicación de procesamiento de transferencia térmica de una amplia gama, no se limita a las telas textiles tradicionales anteriores, ahora hay metal, madera, cristal, plástico y así sucesivamente puede utilizar la tecnología de procesamiento de transferencia de calor para procesar su patrón deseado. Muchas empresas ahora usan el equipo ha alcanzado el nivel verde de protección del medio ambiente. Con el desarrollo y la renovación de la tecnología, la tecnología de procesamiento de transferencia térmica ya no es tan difícil como se imagina. Operación simple, impresión exquisita, bajos costos de producción. 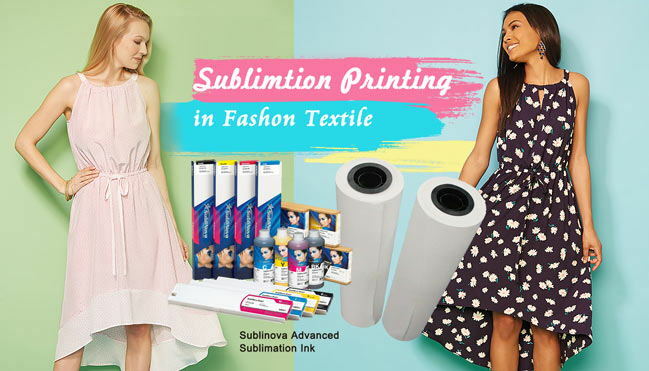 Do You Know the Differences Between Sublimation and Inkjet Heat Transfers? It is known to all that there are some disadvantages with sublimation. You can only work with light colored garments and novelty items. The dye sublimation ink is very transparent and thus will not have the opacity to cover darker items and using fabrics with a 50/50 mix of cotton and polyester, will result in color that looks dull and faded. Sometimes sublimation prints look soft as well. And finally the inks themselves are expensive. In general case,standard inkjet heat transfers are much different in that the inkjet ink is transferred with a polymer adhesive layer that encapsulates the ink and gives it stability. Inkjet heat transfers are made to work with most any inkjet printer and ink. It is the polymer adhesive layer that does all of the actual transfer work. The ink is printed onto the adhesive layer and it soaks in a bit. After the ink sets into the adhesive layer, the image is ready to be transferred. The heat press causes the adhesive layer with the image to release from the paper and adhere to the shirt. On the contrary,inkjet heat transfers paper are easy to make and economical for the home hobbyist. The color saturation is greater and it does not require any special inks or dedicated printers. Some consumer grade papers can be purchased at local office supplies while more professional heat transfer papers are sold by commercial wholesalers. Inkjet transfer paper for dark garments is available but the transfer is often a heavy rubber or cloth material onto which the image is printed normally. This is then heat pressed onto the garment face up. It results in a very heavy, patchy image area which can often cause sweating underneath when worn.